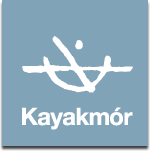 For stag and hen parties why not go for something different and come kayaking in Galway – Ireland’s premier stag & hen destination for some memorable outdoor adventure before you hit the town? Whatever the reason you’re guaranteed to have a great time with us on the water. No previous experience is needed, we tailor our trips to the abilities of your group.